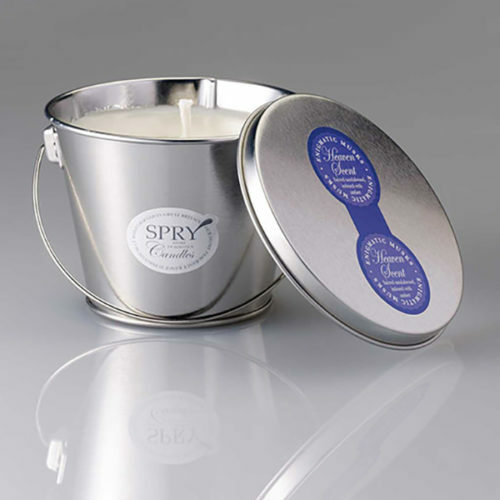 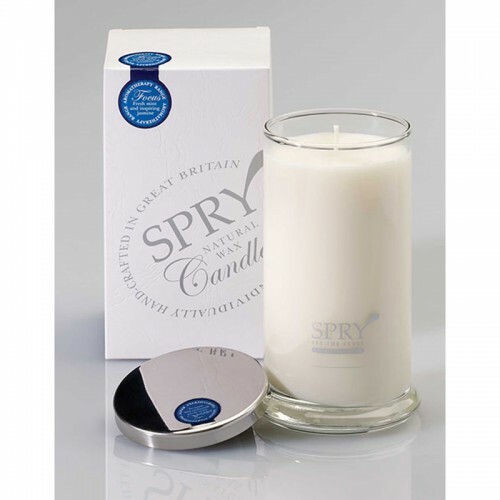 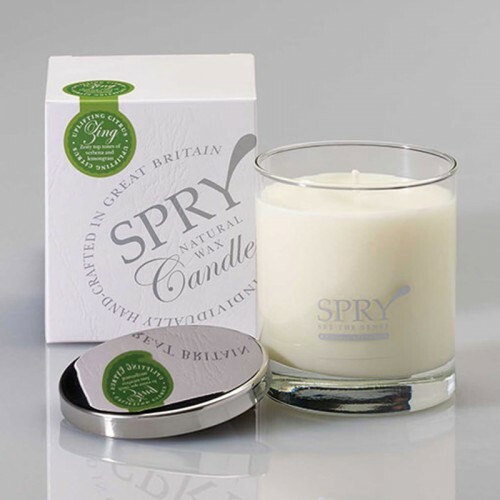 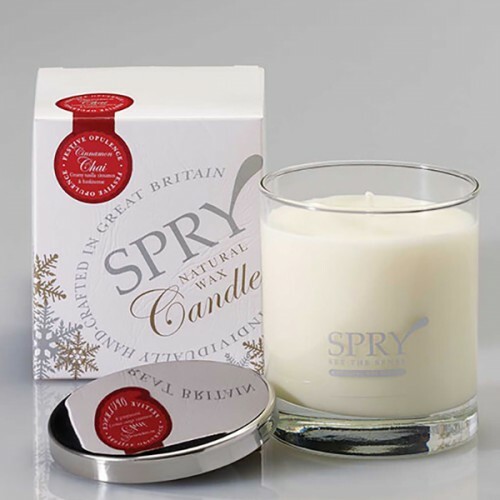 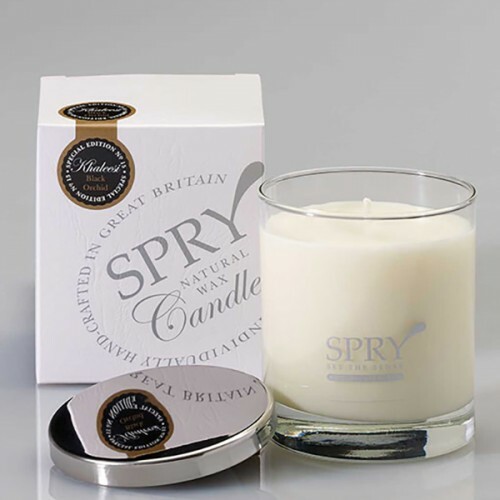 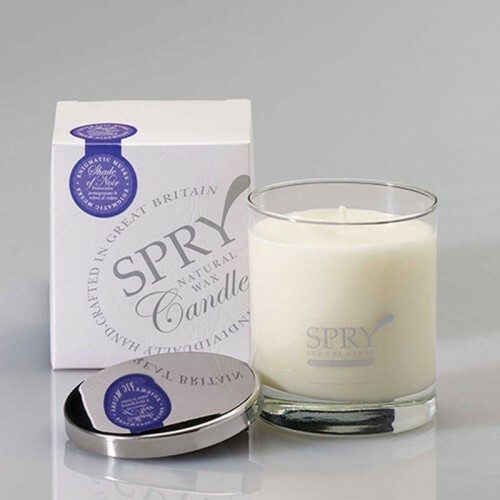 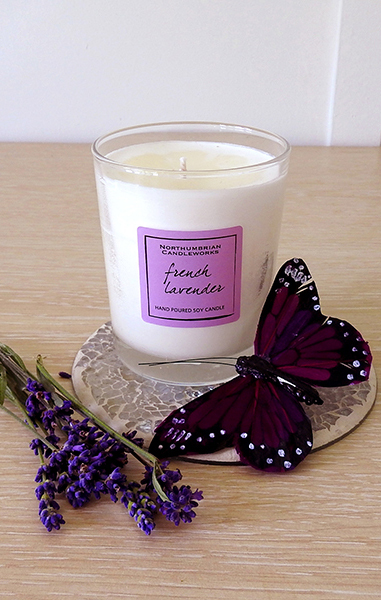 Spry Candles are wonderful boutique fragrance masters, who offer high quality, luxurious and natural products. 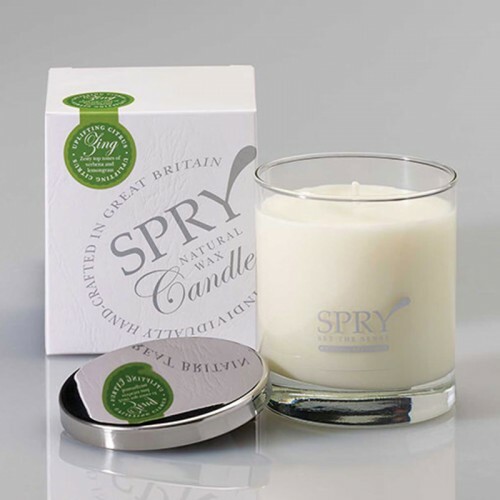 Hand made in Great Britain, Spry are committed to protecting the environment so, as with all our suppliers, they only use highest quality natural ingredients. 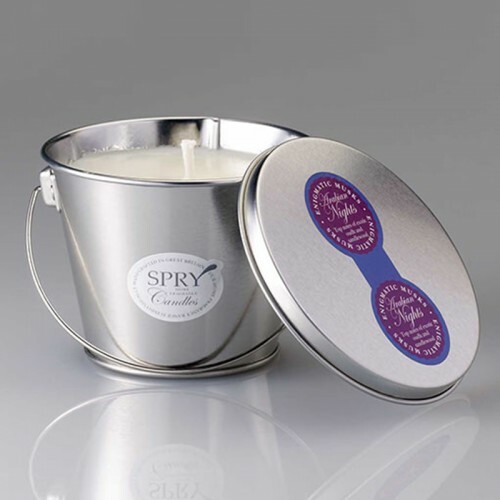 Their glass jar candles come in an elegant and attractive glass container with a beautiful silver lid, making them attractive to reuse after the candle is burned. 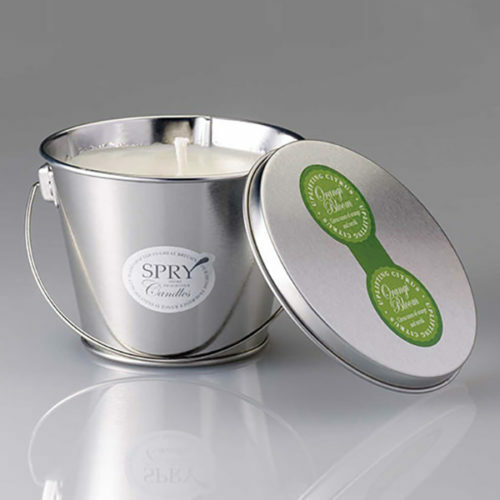 Their pail candles come in elegant little tin pails that can be used as little plant pots after the candle is used. 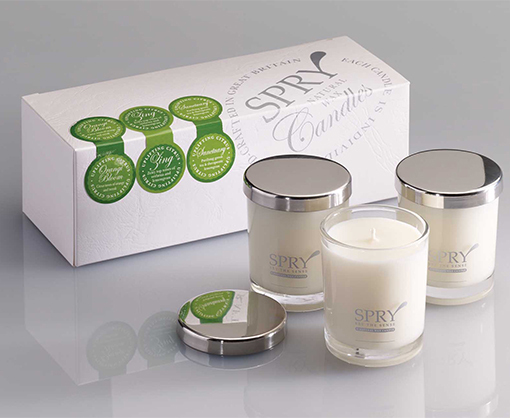 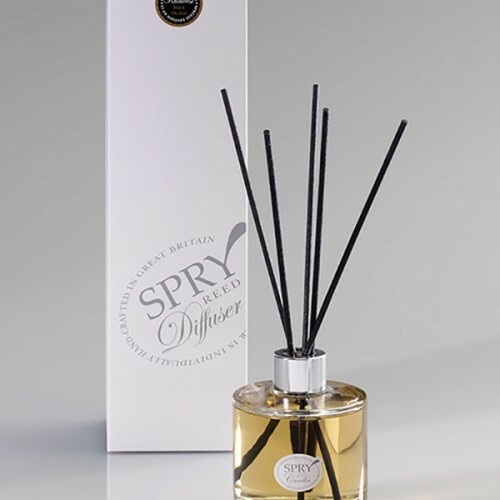 Spry’s fragrances are a mesmerising selection, which are evocative, sensual, uplifting… the list goes on!